When Lia (Devery Jacobs) is forced to live with her grandmother in the subarctic town of Fort McPherson, she's ill-prepared for the sun which never seems to set. It's a world she doesn't know and as such, she's as caught between two worlds, not unlike the glistening orb that seems to hang, so strangely to her eyes, so ever-present in the sky. She'd prefer to stay in the city with her Dad, but alas he must go off to work the mines and she needs to be with the only family she has. There's a price to be paid for returning to roots she never felt in the first place. She carries herself with the air of a stranger and is bullied for her big-city ways. Without giving the town a chance, she makes the unwise choice to flee. The Sun at Midnight is a sensitive, poignant, beautifully acted portrait of a young woman trying to find herself. She feels like a stranger in a strange land and yet, as the film progresses, we see her blossom into her own person in a world she comes to know as her own. It's a survival story, after all. Lia jumps into a boat and attempts to find civilization. What she finds is a whole lotta trouble in the middle of nowhere. The elements and nature are formidable forces. So too are the less-than-friendly country-cousin hunters with an eye only on her youth and beauty. 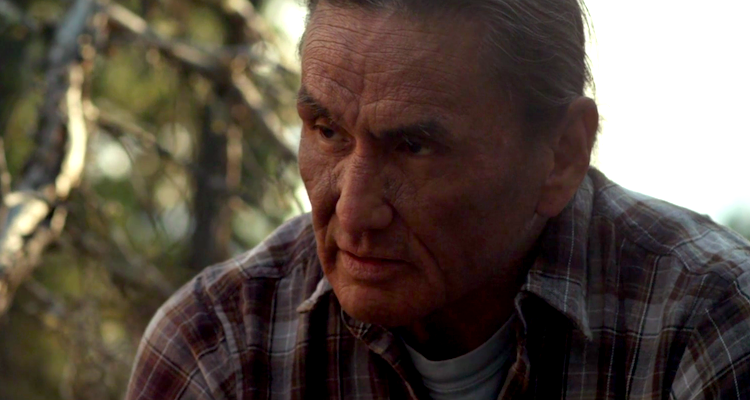 Happily, she makes the acquaintance of Alfred (Duane Jones), a wise, old caribou hunter who takes her under his wing. They develop a deep friendship and through the course of their journey, that sun that hangs so ever-presently, becomes as natural to her as the world she rejected. Of course, no survival tale would be complete without an ultimate challenge and when it comes, it's a lollapalooza!!! As is the film, of course.